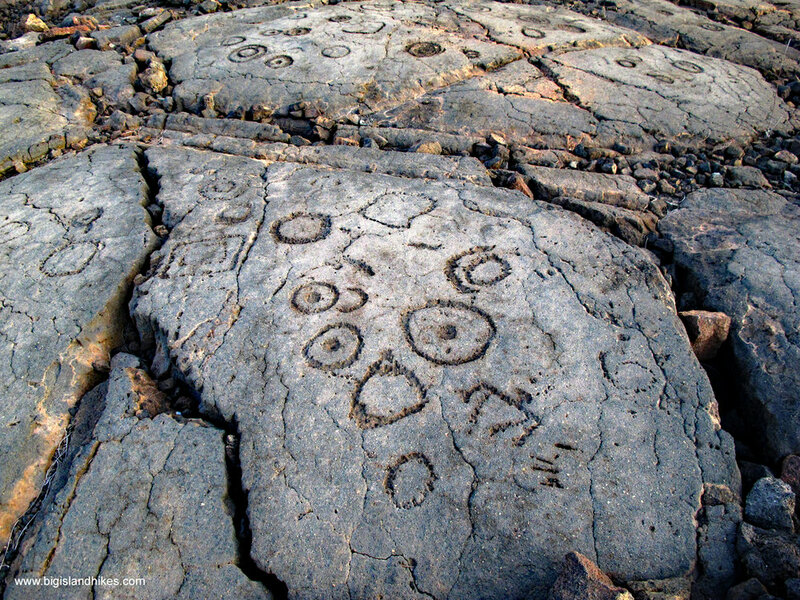 The Waikoloa Petroglyph Preserve is one of the best and easiest places on the Big Island to view ki’i pōhaku (petroglyphs). This extensive field of rock art is preserved amid a golf course and hotel. The Preserve is located just north of the ancient division line between the Ahupuaʻa (districts) of Kona and Kohala. 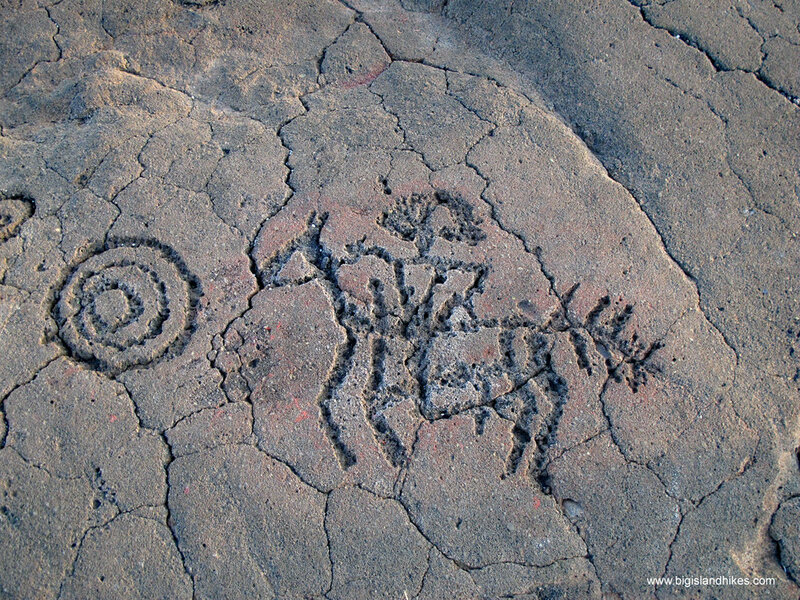 There are some very unique petroglyphs, including a post-western contact warrior on horseback. The preserve also includes several lave tube cave shelters and some other archaeological ruins. Trailhead: From Hwy. 19 north of Kailua-Kona, find Waikoloa Beach Drive. Drive about a mile and locate the "King’s Shops" on your right and park in the large parking area near the gas station. (Look for signs for the Petroglyph Preserve). Gear: Standard hiking gear. Bring water. Hike: This is more of a stroll than a hike. From the parking area, take the marked walkway north along the road toward the golf course area of the Waikoloa Hotel. The walkway will soon take you to the petroglyph preserve, which contains thousands of carvings over a long span of time. There are several informational kiosks in the preserve that explain the history of the area. Stay on the walkway and do not walk on, touch, or otherwise disturb any rock art or ancient sites.